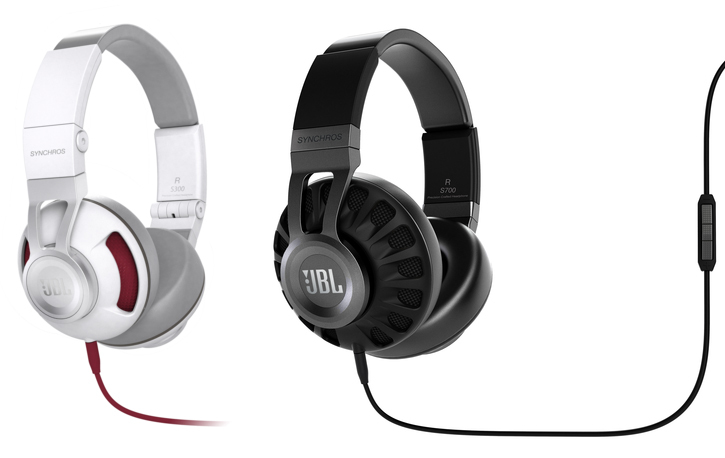 JBL has really stepped up is game today with the introduction of its new Synchros line of on-ear and over-ear headphones that consists of two powered over-ear headphones - the S700 (right), S500 as well as an on-ear pair called the S300 (left). Notably however, is JBL's flagship S700 headphones which are said to offer professional sound performance, robust build quality and comfort with a $350 price tag. The S700 feature a die-cast aluminum frame, acoustic ear cup design with leather cushions and woven cordura accents, LiveStage DSP for a life-like soundstage, 50mm drivers with JBL's proprietary PureBass technology that deliver deep, rich lows, detachable audio cable with an in-line 3-button remote and mic, and a built-in rechargeable battery to power all that hardware and technology. 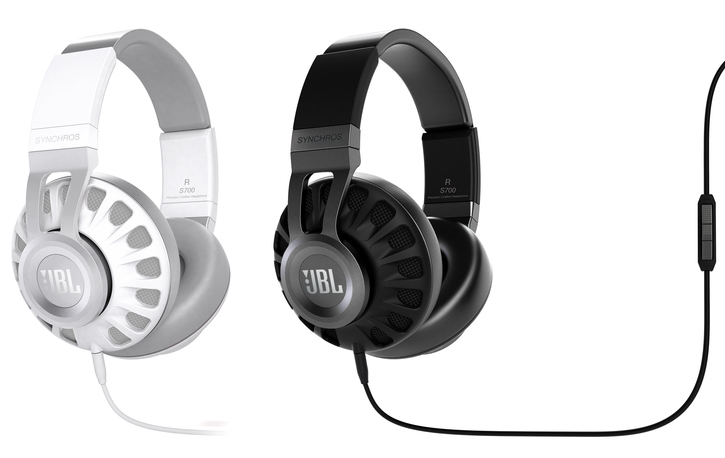 Surprisingly though, none of JBL's new headphones have active noise-cancellation. Jump past the break for the full details on each pair. 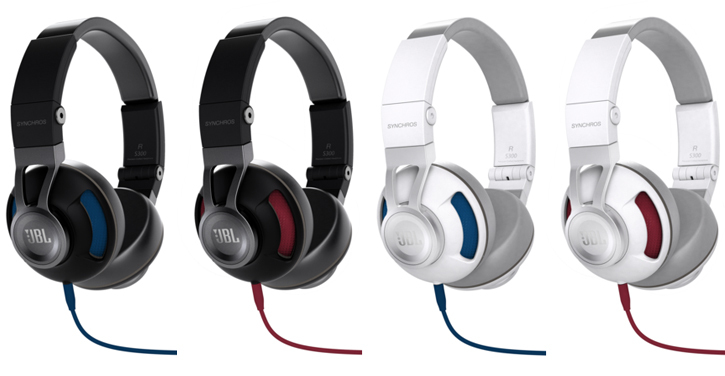 JBL's $350 Synchros S700 premium powered over-ear stereo headphones are the flagship model of the line. The JBL Synchros S700 headphones are built for those who know the future when they see it: precision crafted from lightweight die cast aluminum, woven fabric, steel, and luxuriously appointed leather ear cushions. With JBL professional audio performance and JBL LiveStage™ signal processing technology, these headphones deliver an unparalleled lifelike listening experience. Nothing else looks, feels, or sounds this new. 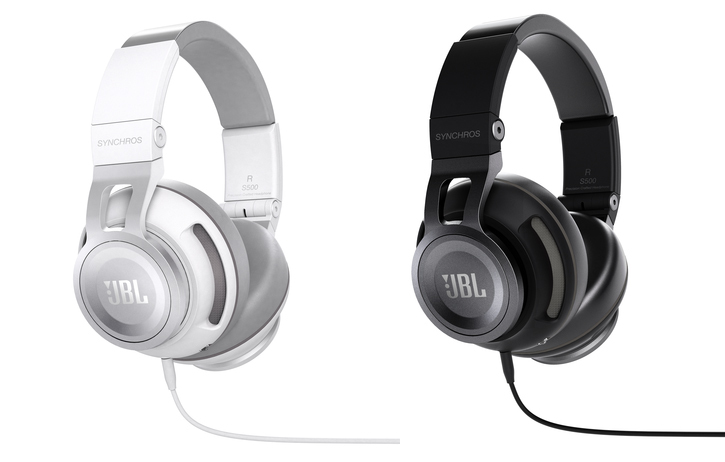 JBL's $300 Synchros S500 powered over-ear stereo headphones are precision-made, lightweight and durable. Combining JBL Professional sound and JBL LiveStage™ signal processing technology, the headphone brings you all the energy and realism of a live performance. JBL's $200 Synchros S300 premium on-ear stereo headphones are designed to revolutionize your portable listening. Making a clean break from conventional headphone design these lightweight yet durable headphones, with a steel headband and leather ear cushions are comfortable enough for hours and hours of listening. With JBL professional audio performance the JBL Synchros S300 reproduces your music with amazing clarity and deep, powerful bass. The design highlights portability, with cups that rotate and fold for compact storage. JBL Synchros S300 brings you flexibility, style, and power all in one piece. Apparently what sets the S500 apart from the $50 more expensive S700 pair is the die-cast aluminum frame and woven cordura elements. Other than that they should both sound identical to one another. JBL has yet to specifiy an availbility date for its new line of headphones.